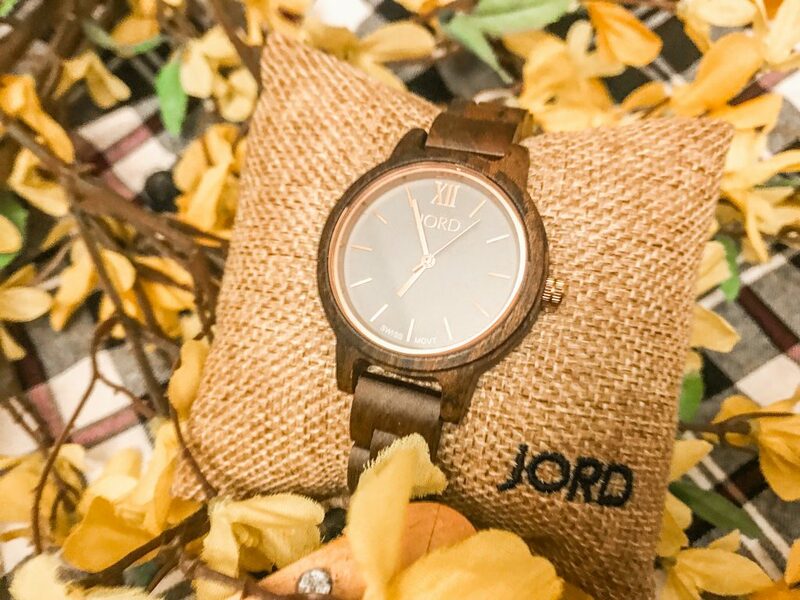 This post is sponsored by JORD Watches. All opinions are my own. 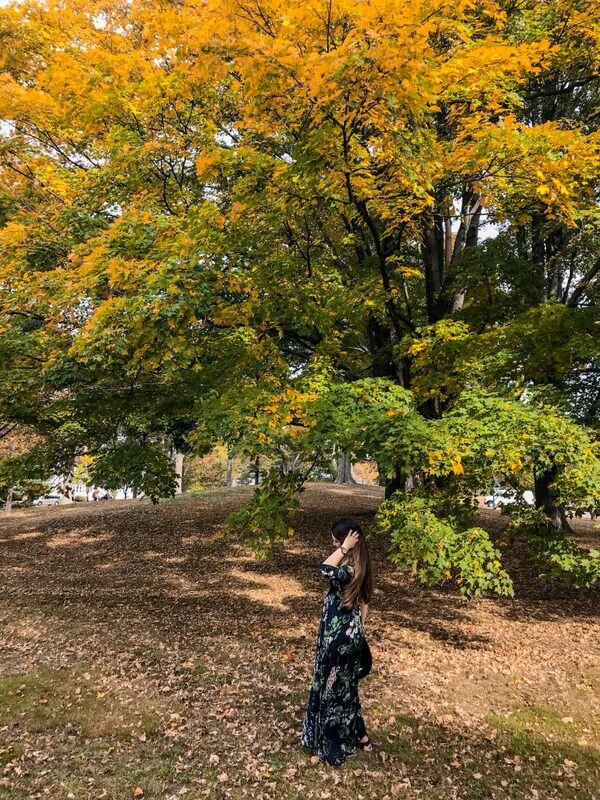 Fall in New England is absolutely magical. 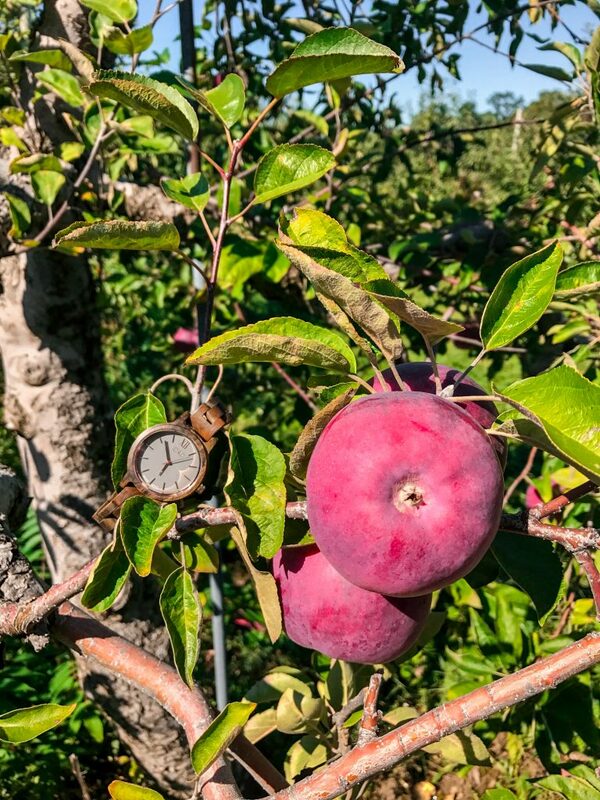 As the leaves start to turn vibrant shades of yellow, red and orange, the smell of apple and pumpkin spice is filling the air. It is time for cozy flannel, pumpkin pie and hot apple cider. 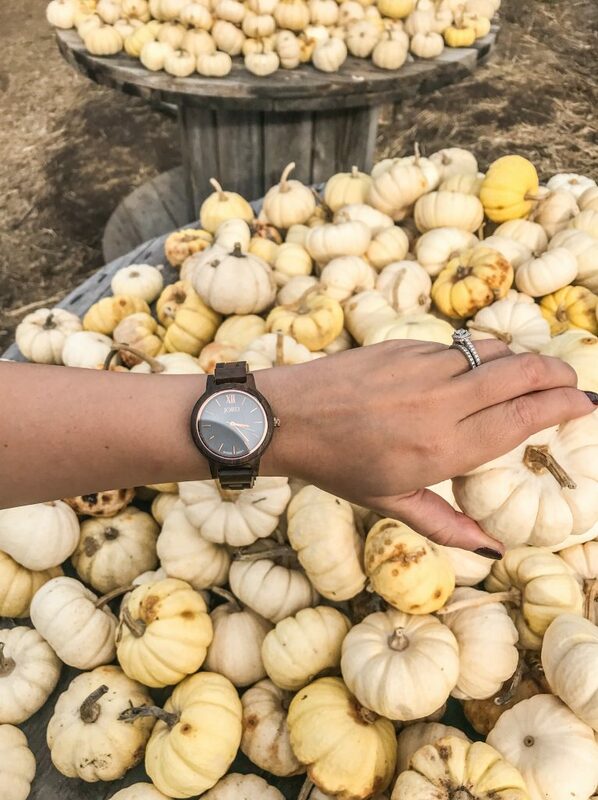 To celebrate Fall, I partnered with JORD Watches for a perfect fall day at the Apple Orchard featuring the beautiful Frankie35 wood watch in dark sandalwood and slate. 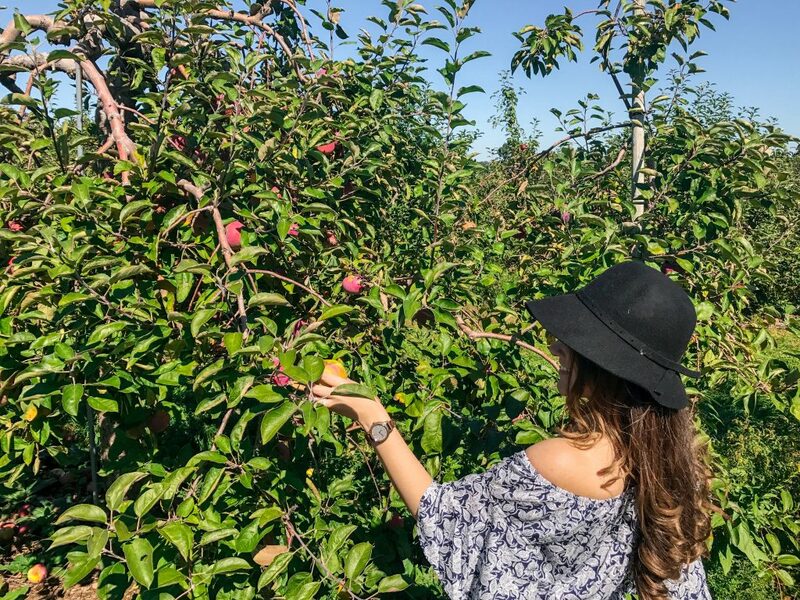 If you like crisp juicy apples, fresh mulled apple cider, and sugary cider doughnuts, then you will fall in love with Brooksby Farm. 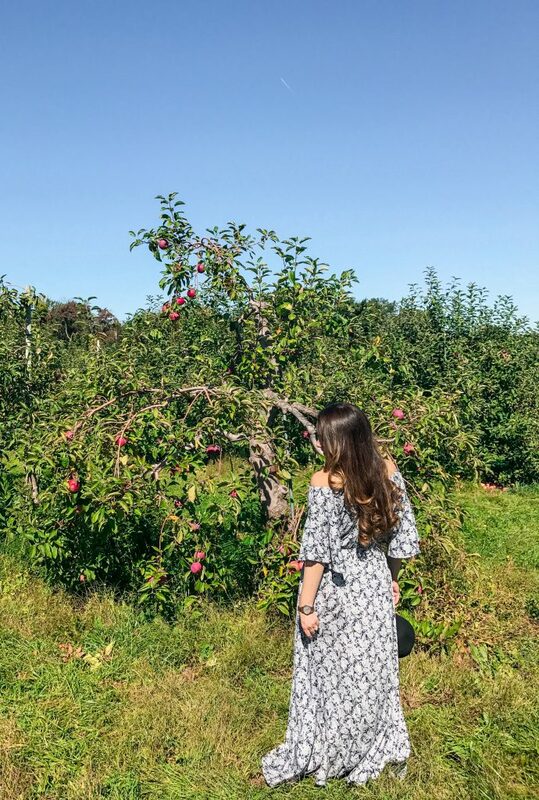 It is a small but charming orchard, and one of my favorites near Boston. 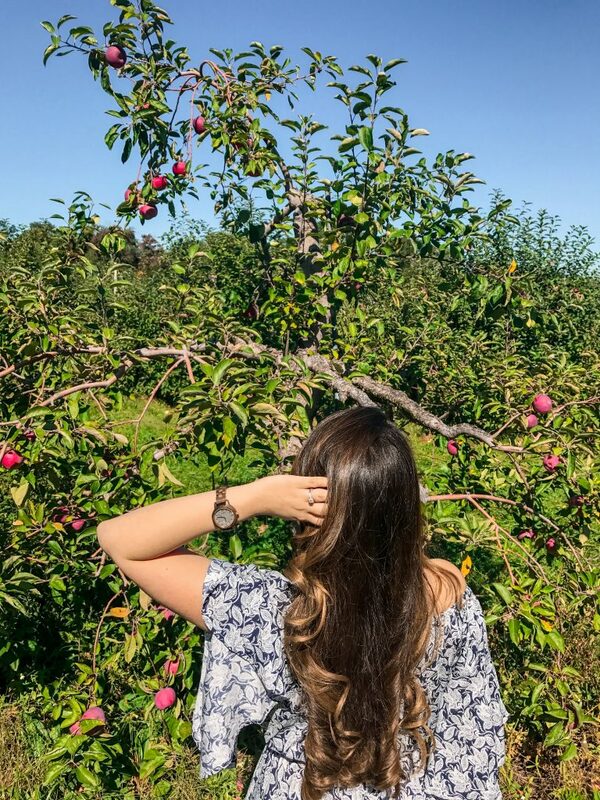 We started the day picking our own apples in the endless rows of apple trees. 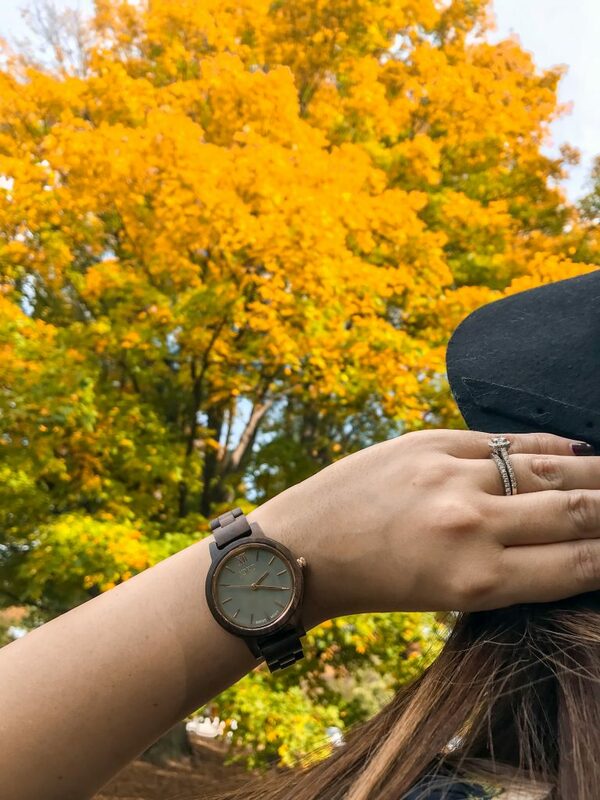 When my JORD wood watch arrived, the Frankie 35 in dark sandalwood and slate, I instantly knew it would be the perfect addition to my fall wardrobe. 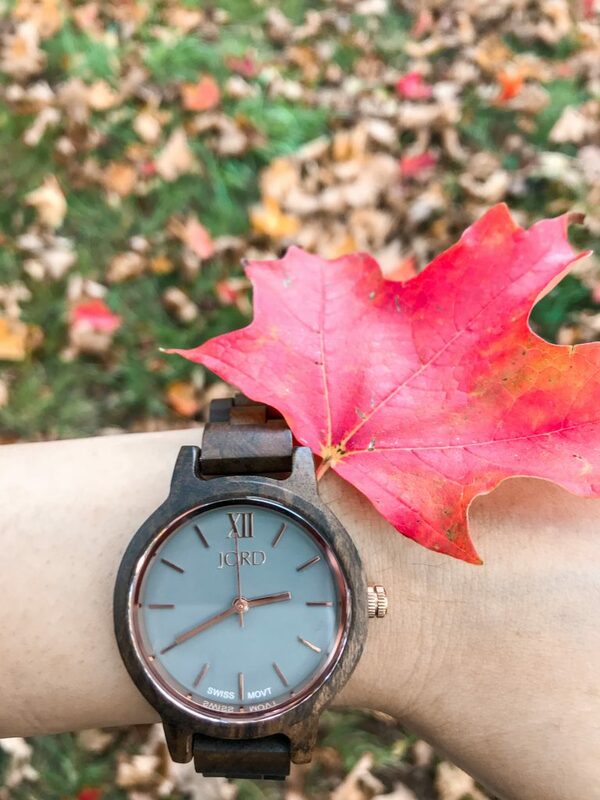 Both elegant and sophisticated, I love how the watch natural tones reflect the changing foliage colors of the Fall season.The simple and sleek design with its handcrafted wooden material makes it a classic yet trendy Fall accessory. 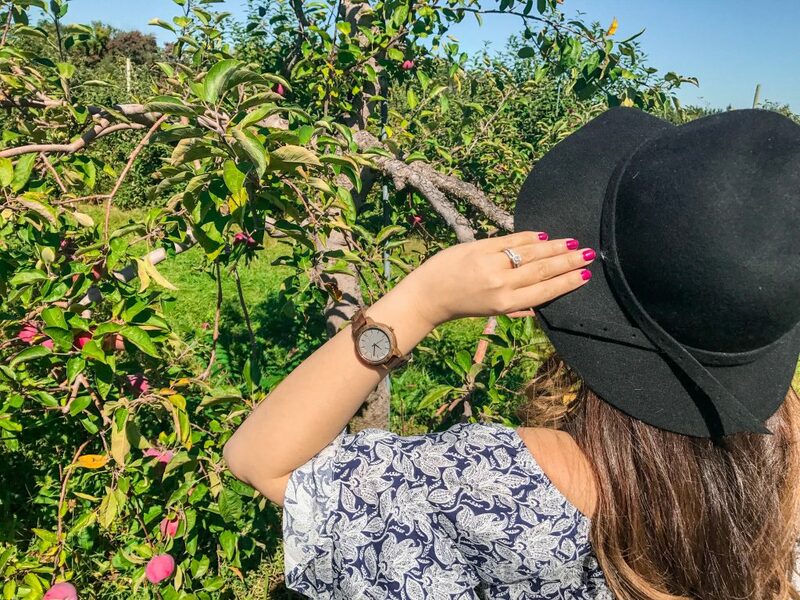 On this warm Fall day at the orchard, I chose to pair this beautiful wood watch with a flowy maxi dress, but it will also go wonderfully with a sweater or a cozy flannel shirt. 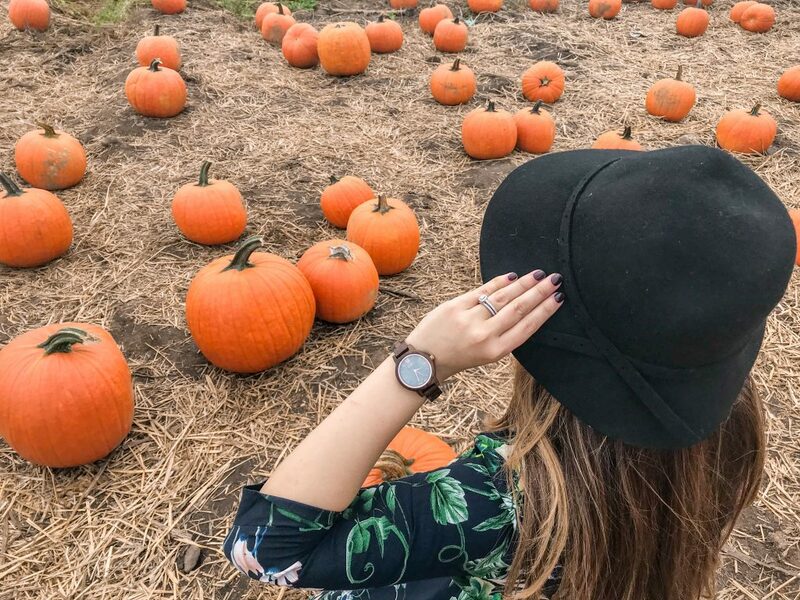 After apple picking, we visited this adorable pumpkin patch surrounded by early Fall foliage. 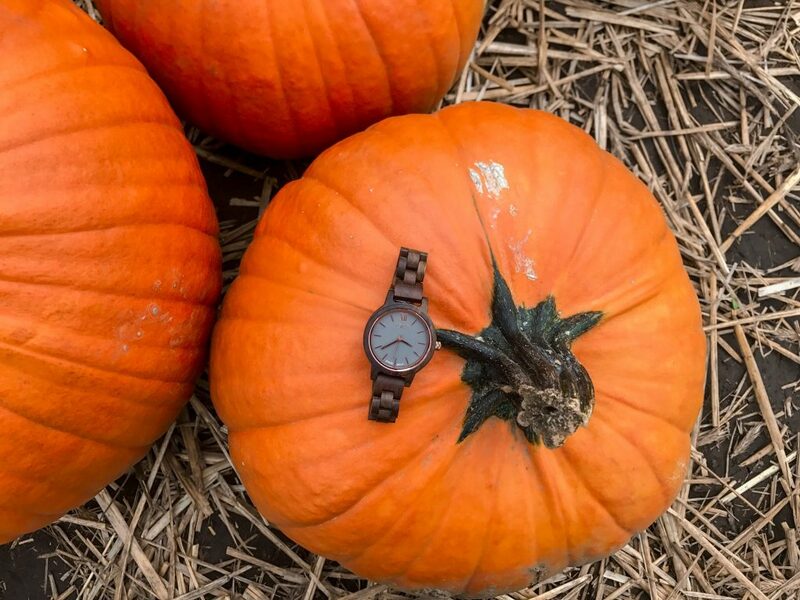 The Fall tones of oranges and reds were a perfect match to the warm sandalwood of my wood watch. 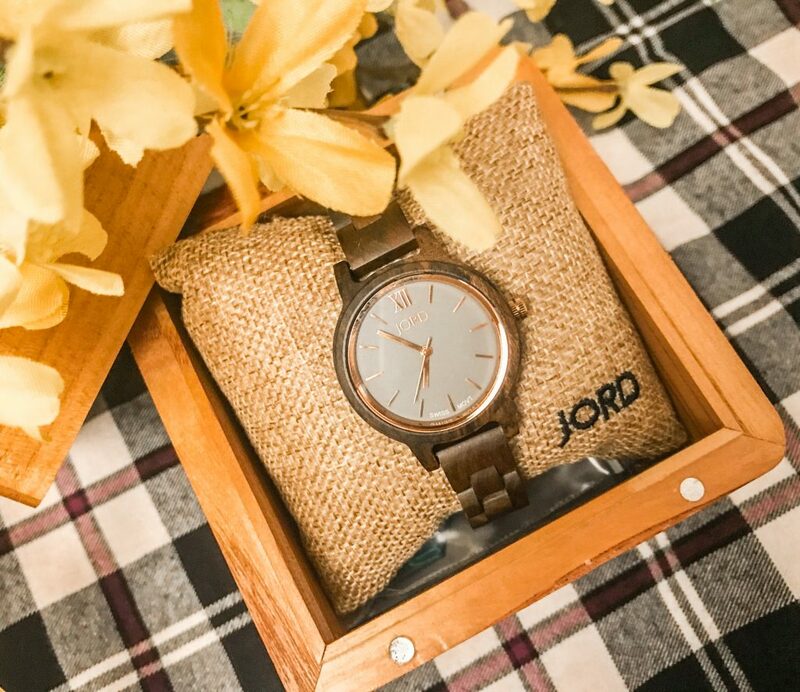 A JORD Watch will make for a a very special gift this holiday season. The wood watch comes packaged in a specially made Cedar valet watch box. 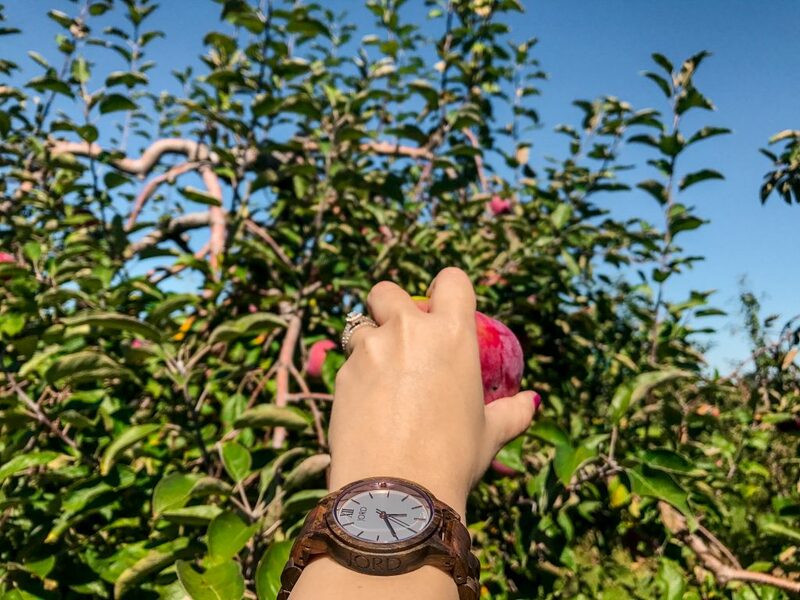 All handcrafted wood watches can also be engraved with a special message to a personalized gift. They have so many different styles, you are pretty much guaranteed to find a perfect match. 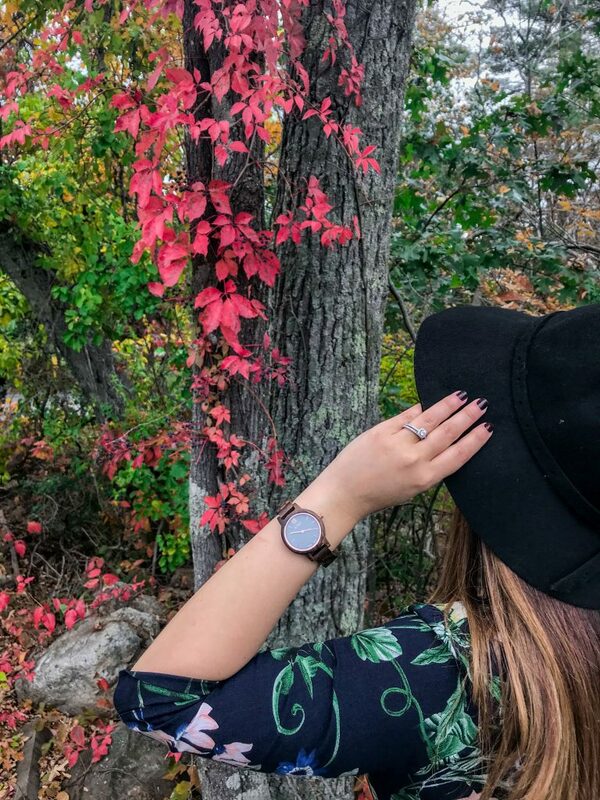 To celebrate Fall, I am hosting an amazing giveaway with JORD Watches: Enter to win a $100 gift card to spend on a Frankie Slate watch like mine (or the watch of your choice) and all those who enter will receive a $25 gift voucher!